For a a quick and easy, but healthy and flavorful meal, I love stopping by Maman. It's basically the bakery and cafe of my dreams, featuring high quality, locally-sourced ingredients with a always evolving and inspired menu. 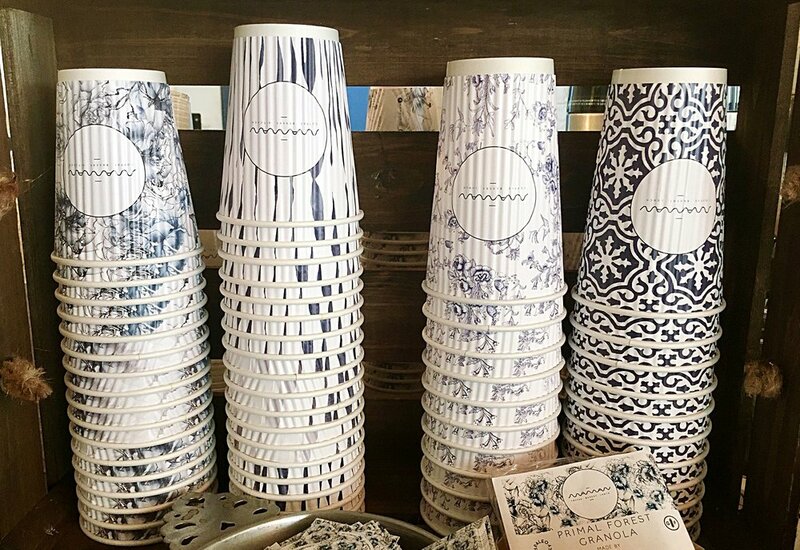 Pop in for coffee (how cute are their cups?!) and freshly baked breads and pastries, or take a seat and enjoy housemade quiches, seasonal salads, and hearty sandwiches. I'm a huge fan of their unique and flavorful baked goods, including the nutella babka loaf, spiced carrot cake, white chocolate blueberry & lavender loaf, chunky monkey brioche, and the signature 'famous' nutty chocolate chip cookie. One of my favorite things ever is Maman's cookie dough ice cream sandwich! It uses two slabs of melt-in-your-mouth cookie dough instead of baked cookies, wrapped around tasty McConnell's ice cream. Heaven! 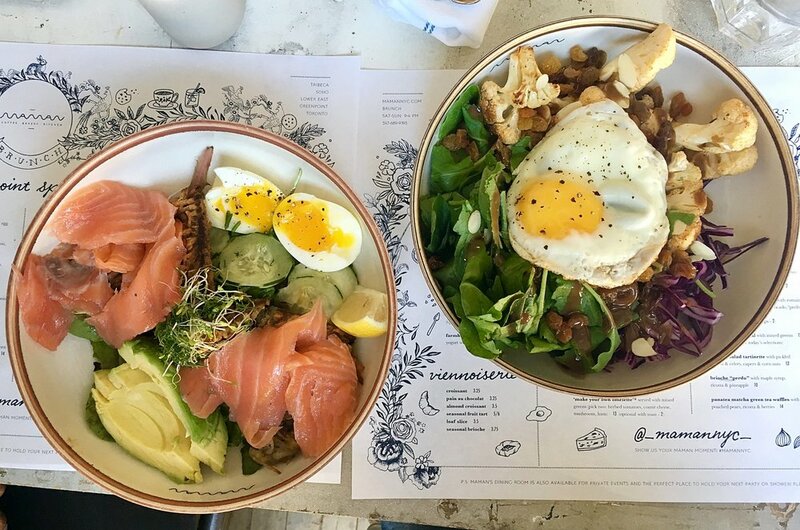 I recently stopped in for their new brunch service at the Brooklyn location, and both the waffle-iron hashbrowns (with smoked salmon, avocado & egg) and the roasted cauliflower salad (with kale, dates & egg) were super flavorful and satisfying. I'm looking forward to trying a matcha white hot chocolate this winter!